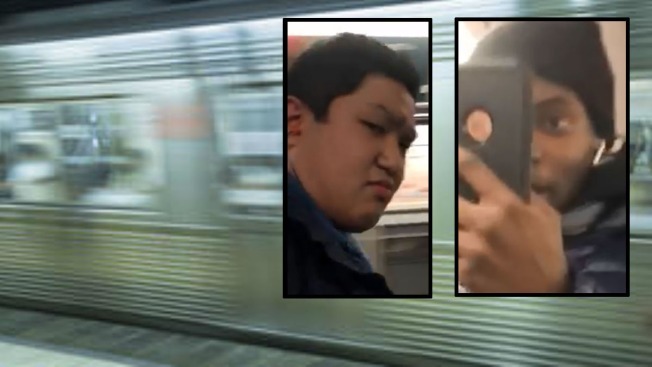 Police released the inset photos of two men suspected in the assault and attempted robbery of a woman on the subway. A woman riding the subway was punched multiple times by a man who tried to steal her iPhone, police said. Two men approached the 24-year-old victim on the R train near Pacific Street in Brooklyn on Thursday and began harassing her, the NYPD said. Then one of them punched her in the face and body, police said. He also tried to take her phone. 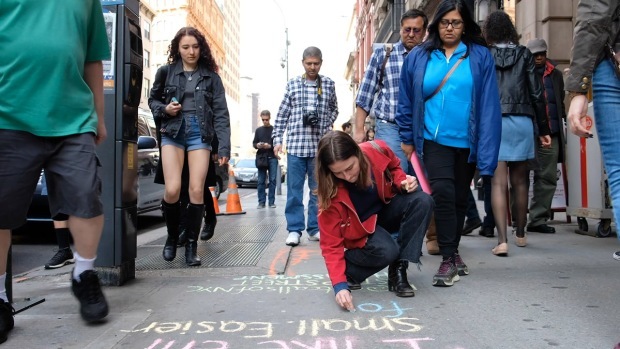 The men are described as teenagers, about 16 to 18 years old.